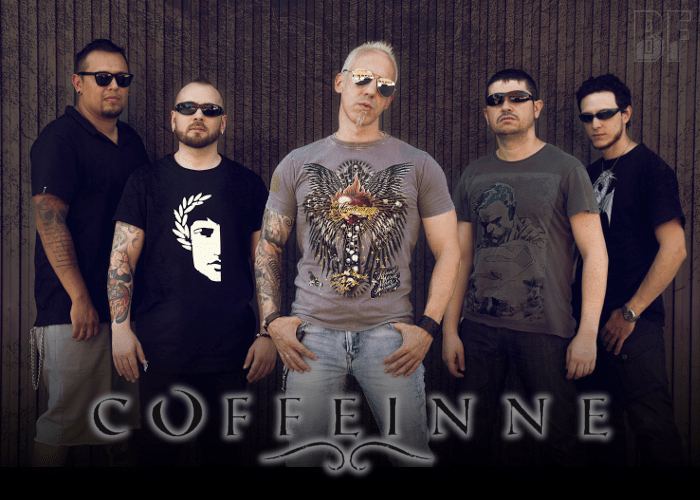 COFFEINNE is a melodic metal band from Madrid (Spain) formed in late 2015 by David Villarreal (guitars) and Iñaki Lazcano (vocals, ex-Airless). 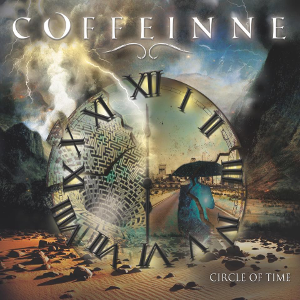 COFFEINNE plays a powerful, melodic and fresh metal influenced by many various melodic metal bands, mostly European, taking different styles ranging from classic power metal to modern Scandinavian melodic death metal. Heavy guitars and powerful rhythm sections match perfectly with catchy melodies, and is more aggressive sometimes. For live shows recruited Alberto Muñoz on bass Luis Rodriguez on drums and Sergio Salcedo on guitars. The band released their first full-length album entitled “Circle of time” through Rock Estatal Records on December 21, 2016. It was recorded, mixed and mastered by guitarist and producer Sergio Salcedoy at Cronosound Studios (Madrid) he owned, and features collaborations of, among others Manuel Seoane (Bai Bang, Sinbreed, Burning Kingdom) or Robert Rodrigo (Airless).